The Sunset Open saw an all-Hawaii Final including (L to R:) Billy Kemper, Ian Gentil, Ian Walsh and Barron Mamiya. HALEIWA, North Shore, Oahu/Hawaii – (Tuesday, January 23, 2018) — Two-time Pe‘ahi Challenge winner and Sunset expert Billy Kemper (HAW) bested a field of 112 competitors today for the win at the Sunset Open in an all-Hawaii Final that saw Maui athletes Ian Gentil and Ian Walsh take second and third respectively, and Barron Mamiya (HAW) in fourth. 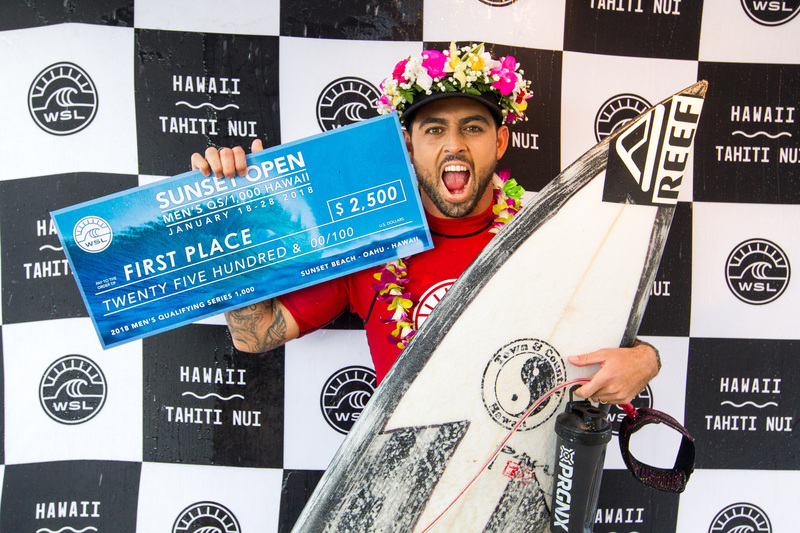 A World Surf League (WSL) Men’s Qualifying Series (QS) 1,000 event, the Sunset Open is the first of the WSL Hawaii/Tahiti Nui Region 2018 season and sees Kemper earn the lead on the rankings. It was a nail-biting Final and Kemper had a strong opening ride to set the pace, a 7.67 for a mixed bag of power turns, then maintained first throughout the 30-minute heat. He continued to strengthen his lead with an 8.27 after finding a barrel off the point and then tallied another 7.30 throw-away score. Kemper’s decades of experience surfing the big wave break was a key component to today’s win. Gentil was but 0.24 points away from claiming his first professional win amongst a talented group of Sunset champions. Kemper’s first victory was in 2010 during the HIC Pro, a Men’s QS3,000; Walsh’s in 2005 and ’15 at the HIC Pro; and Mamiya’s last year during the 2017 Sunset Pro Junior. Along with a runner-up finish, Gentil also scored a perfect 10-point ride after he disappeared behind an 8-foot curtain and exited cleanly on his opening ride in Semifinal 2. Semifinalist Jack Robinson (AUS) enjoyed the event’s first perfect 10 in Round 4 after navigating a lengthy, deep barrel with a near-impossible exit. The Australian blasted through the whitewater and followed up with a couple of powerful turns to close out the heat in first ahead of France’s Tristan Guilbaud. Walsh and Mamiya stayed patient in the lineup and were selective with their waves during the Final, both finding mid-range scores, a 6.97 and 6.60 respectively. Walsh was a couple of points shy from overtaking Gentil for runner up with a combined two-wave total of 13.64, while Mamiya was unable to find a solid back-up score to bump up. This is Mamiya’s second Final appearance in three days, as he took home third place on Sundayduring the 2018 Sunset Pro Junior. Mamiya, 17, is the current Regional Junior Champion and had a stellar year after multiple wins and a fifth place finish at the World Junior Championships earlier this month in Australia. 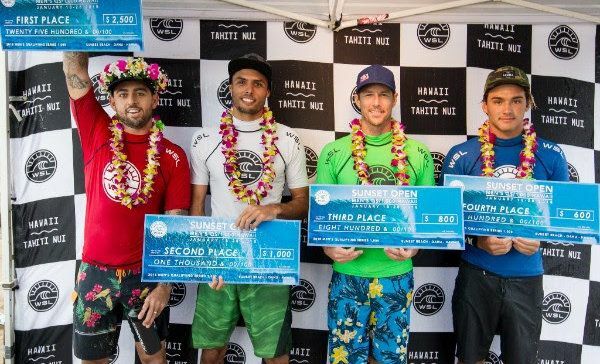 Top finishers from Tahiti included O’Neill Masin and Eliott Napias who went against each other plus Kemper and Mamiya in Semifinal 1, but fell just short of advancing into the Final. 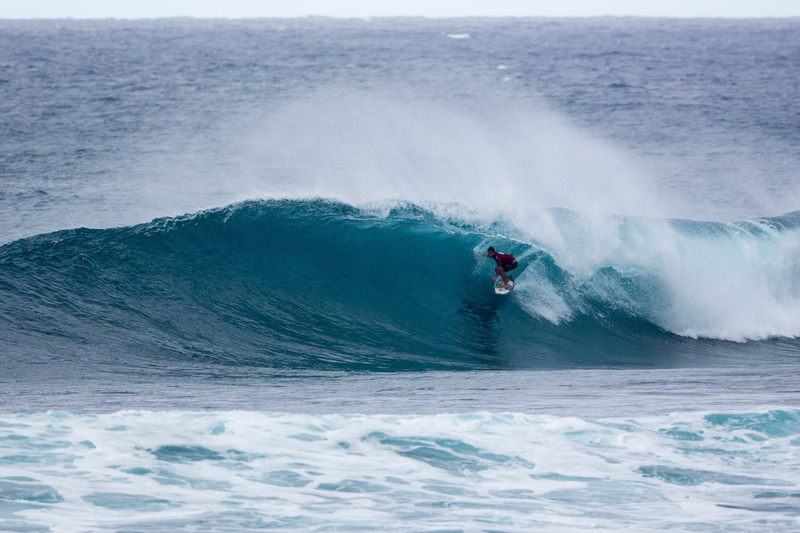 The two have been standouts along the North Shore for the past few years and will look to increase their regional rankings at home during the Rangiroa Pro Open and Papara Pro Open Men’s QS1,000 events in March. The WSL Hawaii/Tahiti Nui region now shifts its focus to Pipeline for the Men’s QS3,000, the Volcom Pipe Pro. 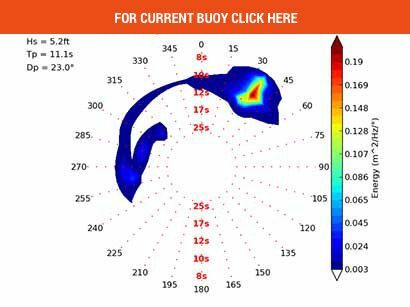 With a holding window from January 29 – February 10, contest organizers and officials are anticipating more excellent swell to hit the North Shore with a target on the new WNW direction for Tuesday, January 30. 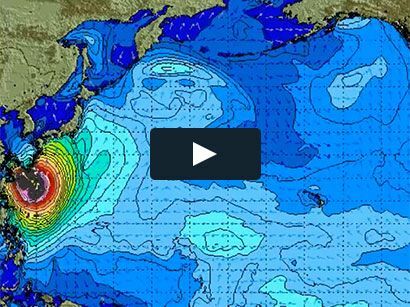 For more updates, visit WorldSurfLeague.com and be sure to check out the Sunset Open event page for the competition highlights.